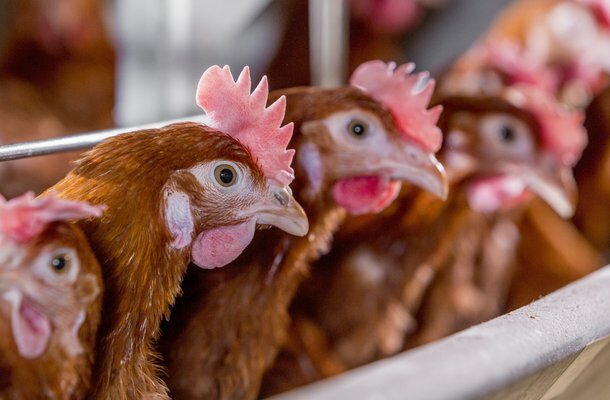 Consumers want to buy broiler chickens with big weights, and some are ready to go with the price you are willing to sell them when they are impressed with the broilers’ weight. This is why poultry farmers are always looking for ways to increase the body weight of their broiler chickens. 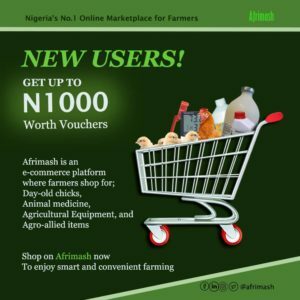 As a poultry farmer, I’m sure you’re having a number of broiler chickens you are raising to sell during festive periods such as Christmas, Easter, Sallah etc. However, you’re worried about something. Some or all your broilers are not growing as expected and they have not attained the expected market weight. I understand your worries and how you are feeling right now. It is not easy raising broilers for over 2 months (as the case may be) but all looks as if nothing has been done. It kills one’s morale and set fear in one’s mind. The first thing you need to do is that you should sort your broilers that have similar body size or weight together, and keep them in the same growing pen. This will eliminate the factor of inequality. In addition, they will be able to feed well without being intimidated or cheated by the bigger or weightier broilers. You can increase the quantity of finisher feeds given to the group with lower weights. When you do this, you will surely see a difference. Another way to make your broilers grow bigger or have a higher weight is by producing and feeding them with an excellent feed. I have decided to share my special broiler diet formula which includes both starter and finisher diet. Click here for details. I don’t usually support farmers using growth enhancers for their animals. They could be harmful to your animals in one way or the other. However, if you must use it, try and research on them and consult your veterinarian. If you must use any broiler growth enhancer, try as much as possible to use plant-based broiler growth promoter or enhancer. I have visited the farms of friends and family, and even that of clients. Some of them starve their chickens in the name of no money to raise them again. In the first place, why should you commit yourself into what you won’t finish? 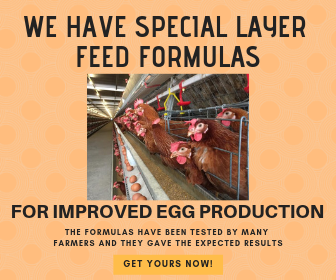 So don’t expect any miracle if you are not giving your broilers the required quantity of feed they need to feed on. 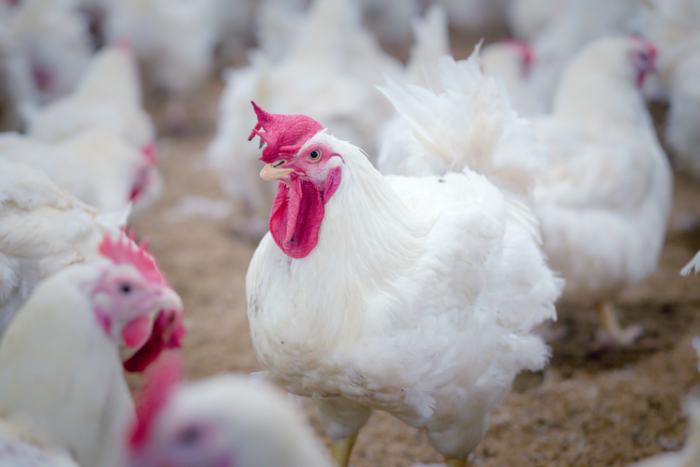 If you feed your chickens well, they will grow bigger and attract more market prices. Though, there are cases where broilers don’t grow well, irrespective of the quality and quantity of feed given to them. The major reason for this is related to the broilers’ genetic foundation. So ensure you purchase a good broiler breed from a reputable farm or hatchery if you want to raise broilers for commercial purpose. No matter what you do or give broilers that came from a poorly performing parent stock or hatchery, they may never do well in terms of adding more weight or grow bigger. Genes have a lot to do with animals’ growth and performing. This is the reason why you must procure your broiler chicks from a reputable hatchery with excellent records. 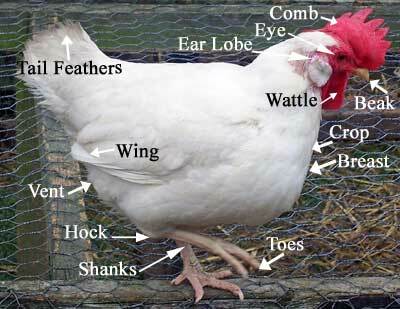 You can ask other poultry farmers around you about the hatchery or vendors they procure chicks from. If you are serious about increasing your broilers weight, then using the tips discussed would do a lot with regards to boosting the weight of broilers and increase the profit per broiler chicken. For promoters and boosters, please consult a veterinarian. However, for increased weight for your birds, give them a balanced finisher and let them have access to sufficient water. 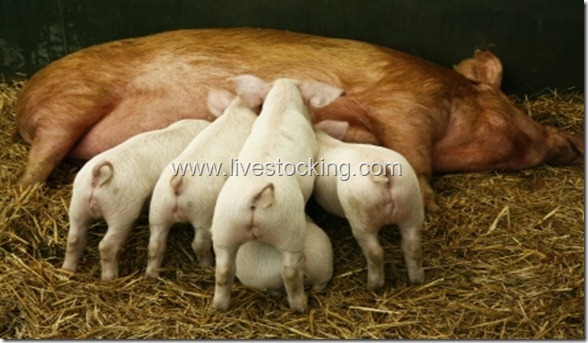 You can sort them according to their weight and feed each group separately. 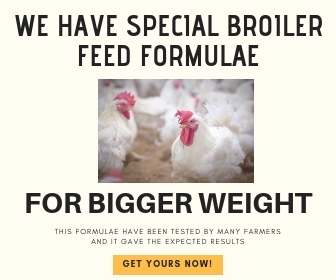 Is it true that when broilers increase in weight if given feed high in fat? No! It is not good and never advised to do something of such. It makes no difference. Besides, your broilers may not even consume the feed. Comment:hi, is it ok to add things like BKT chaffs, maze, and soya bean to the chicken feed?? Yes, you can! However, the soyabean must have been processed to destroy the Antinutrients and toxins. Click here to Download this ebook and read page 9 on how to process soybean. Avian influenza is highly pathogenic. I will advise that you seek the help of a veterinarian to be sure of the strain that has infected your birds. If it is confirmed that some have not been infected (which I doubt), cull them immediately to avert further disaster. Please, you must consult a qualified veterinarian in this situation. He/she would be in the best position to assist you. Please apply the tips discussed in this article. i would kill them all, burn the bodies, clean you coop (walls and ceilings included) with a disinfectant from the vet to get rid of such diseases and start fresh again. AI is not something you want to experience again and it is definitely something you want to sell to ur customers. I have these questions,pls help me. 1. If you mean broilers, you have to feed them well. Use a good broiler feed formula and your stocking density should not high. Overstocking/overcrowding affects the growth rate of broilers. 2. Hmmm. Natural way is to procure birds from a reputable hatchery/source and ensure that their genetic background (parent stock) are good. Feed the birds with a balanced ration and don’t overstock. You will surely see your birds growing fast if all these conditions have been met. They should be weighing an average of 1.2 kg. They should be having an average weight of 800g (males) and 600g (females). The best way to find out is to use a weighing scale. Hi. Are you using an automatic drinking system? This is a sign of maturity and most importantly, it shows the birds want to grow new feathers. It’s a natural process. Thanks for your write up. I found it interesting. I’m glad you found the post interesting. The answer to this question is commonly subjective. But all things equal, the weight should be around 3 kg. Thank you Akinbobola for this formula. I bought and used them for my broilers that I raised for last Easter. Seriously, I couldn’t believe my eyes. The birds were weighting averagely 2.8kg and 3.6kg in 6 weeks and 8 weeks respectively. You’re indeed a God sent. Thank you! Do you have any special formula for layers. Kindly let me know. My birds avoid drinking due to the medication I put in their drinker, what do I do? Serve them water bit by bit. Another thing you can do is to serve water after giving feed. Hello, am having issues with the market women here in Bayelsa State as they only look forward to buying 3 months old birds which I feel is too long a period for broilers. The annoying thing is they come pricing 1500/1800 for a bird kept that long. What solution do you think is best to maximise my profit as am considering adding maize to the feeds bought, besides how long am I to stay on Starter considering am keeping them 3 months? Don’t add maize, else you will alter the nutritional value of the feed. And regarding the duration of starter, you should give starter for 4 weeks. Give finisher until you slaughter at the 12th week. Hi ,Bros,is it possible to get your number , because I will like to purchase the diet formula, but I need to talk on phone to clarify few things please,I’ve been scammed before, hope you understand,this my number in case you want to send me your number and not post it here .09028119557. Wow! 1.8kg in 4 weeks is superb. However, they can’t be 3.7kg in 6 weeks. what will happen to my broiler chicken if I continue to feed them with starter feed for 8 weeks ? They will still grow, buy at a slower pace. what will happen to the growth of my broiler chicken if I increase the crude protein contents up to 30% CP. Gout, kidney problems and waste of money. Bros, thanks for your advice, I need to ask is it good to feed broilers with starter before moving to finisher. Yes, it’s very good and important to start with broiler starter before moving to broiler finisher. Please can I add PKC to my broiler feed? And I need a fast growing formula that will give me 2.5 kg in 6weeks. 08034395030 that is my number. Thanks! Done and thanks for the comment. Please my broilers just stopped growing. What do I do please? At 8 weeks they look retarded. Seems they are runts or the feed is not good. What are you feeding them with and where did you buy the chicks? Hi. Feed them with adequate quality feed and give them enough space. I really took time God reading ur articles. They are helpful. I will get ur material on feed formula but how will I get the products cos here in Owerri am yet to see a mill factory. 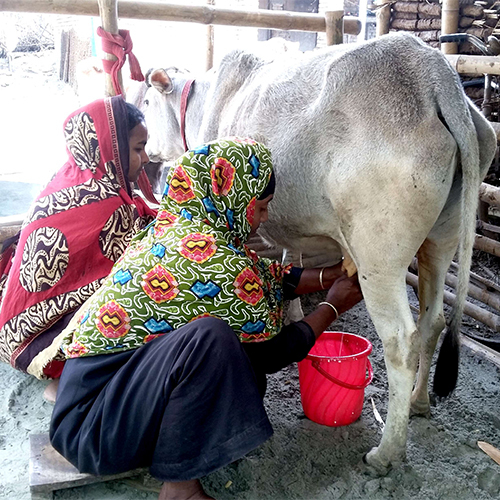 Can you also help with the materials to produce the feed. Or send packaged ones. Thanks. Hi, my broilers are 12 weeks old and still feeding them with super starter but they’re no longer gaining weight, what can I do? Super starter at 12 weeks? They should be eating finisher at this age. Very enlightening article. Comments helpful as well. In 9 weeks I fed them with grower plus a booster. So I proceeded to giving them Finisher. The birds is 3months old today. I had lost 13 out of 50. Found this interesting, my birds are 5weeks old but are passing out green faeces, loosing weight, los appetite, watery faece. Hi do I go about curing them? No. It’s wrong to do so. Hi, what’s the best breed of broilers? Best breed of broiler is subjective, but I will recommend Cornish.